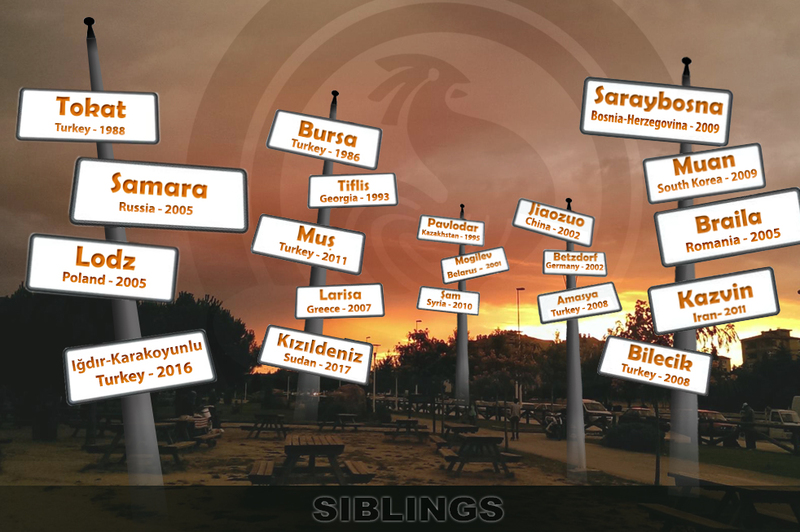 Young Denizli Project implemented by Denizli Municipality, which is the best social responsibility project in Turkey, continues to amaze young people. 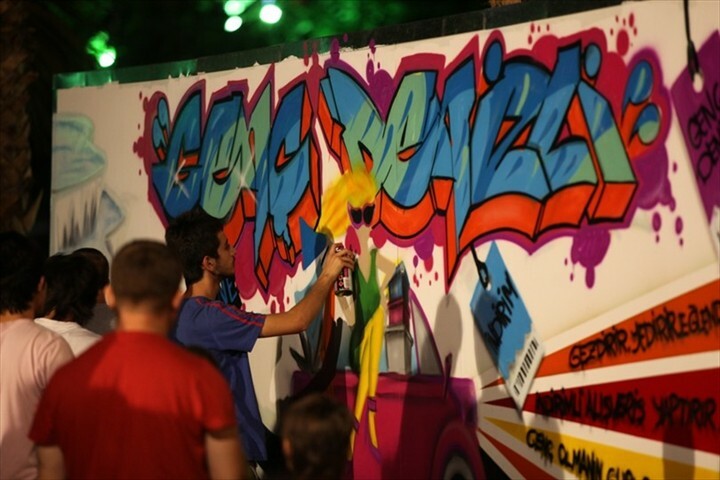 Graffity Show was perfomed at İncilipınar Park. Young Denizli Project continues to organize a various activities for young people. 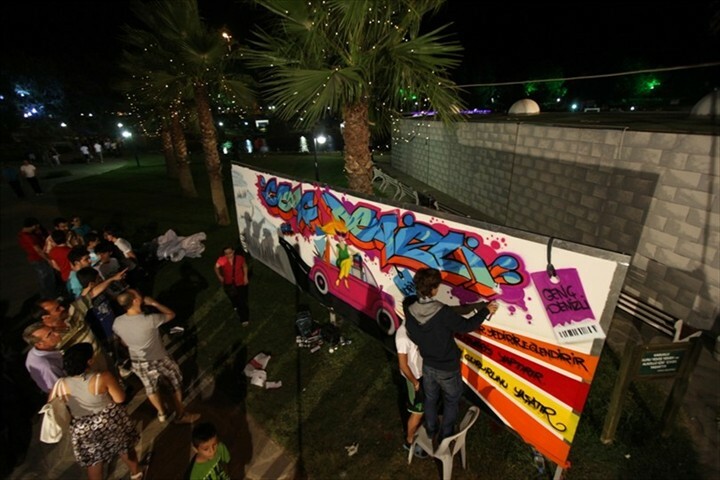 Graffity Show was organized by Young Denizli at İncilipınar Park. 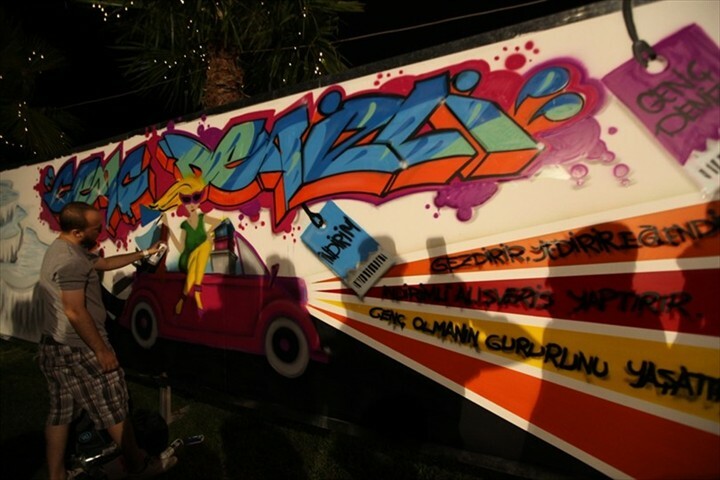 Graffity and pictures of Denizli's skilled practitioners were appreciated by citizens. 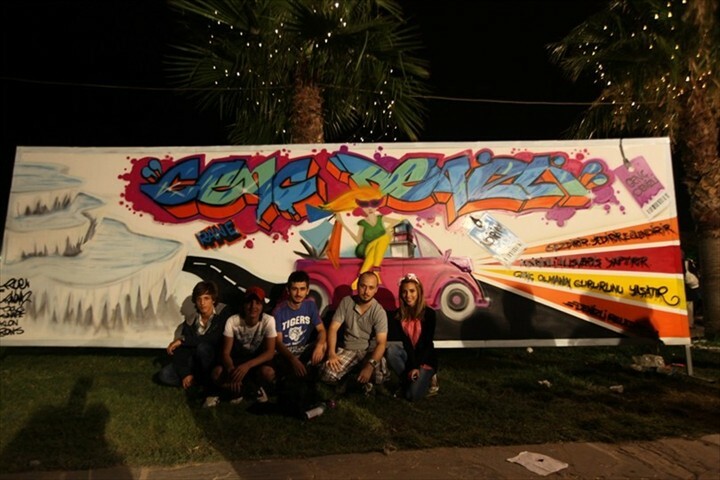 An incredible graffiti was sprayed by İbrahim Oğuzhan Kaytaz, Ahmet İşlek, Abdullah Ünal and Tuğçe Yılmaz during 5 hours. People followed the work of a young team with great interest. A empty wall panel has been turned into a work of art with colors and capabilities. 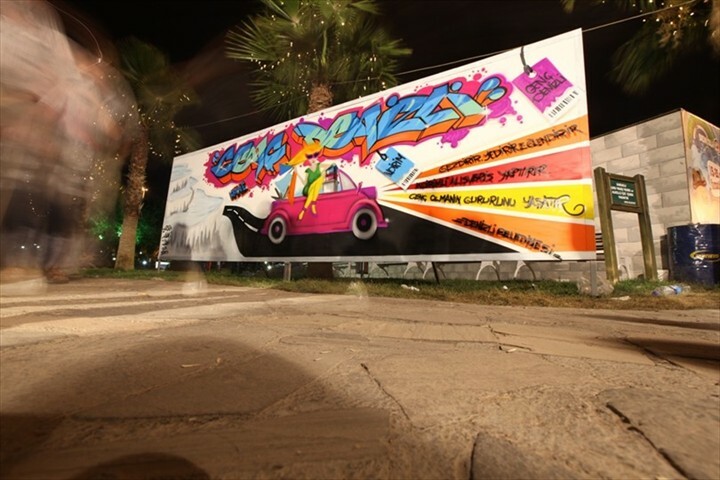 'Young Denizli' with special fonts and Pamukkale were sprayed by graffity artists. 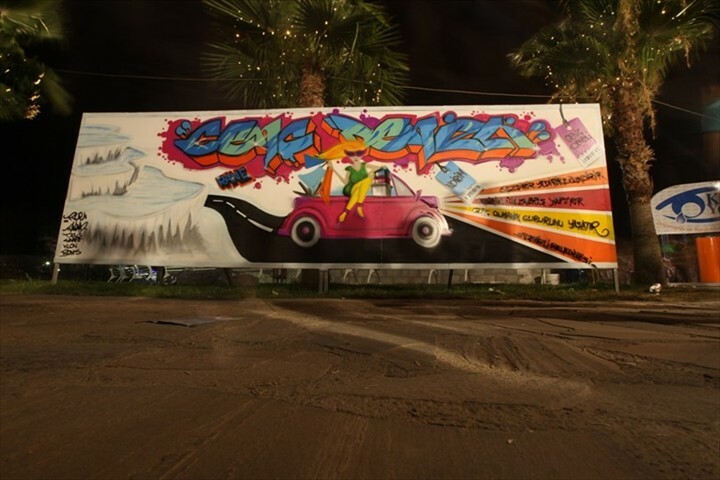 Graffiti is a visual practice of expressing oneself through writing letters or drawing pictures on the wall. Graffiti in some circles is accepted as an art form, but on the other hand it is considered as Vandalism. Graffity has developed more rapidly in the historical process and has created own commercial sector, style of clothing and literature. Graffity is considered the most effective way to showcase own creativity.